2 single beds or large king size bed and a sleeper couch in lounge. Our self catering accommodation is situated in the heart of Kloof, a leafy, upmarket suburb located in Kwa-Zulu Natal, South Africa. The accommodation comprises of a new 1 bedroom self catering unit, perfect for a short business trip, stop-over or as a base from which to explore the many adventures this area has to offer. Being 700m above sea level, the climate is more moderate (tolerable) than the coasts humidity. The accommodation has a private entrance, is situated on a secure property and features a stunning open-plan living area, fully equipped modern kitchen, full bathroom with bath and shower and a large bedroom opening out to a beautifully landscaped private garden. Welterusten is perfectly located close to many different activities which cater for all ages and interests. We are also only 60km's from the new King Shaka International Airport. Your friendly hosts Diane and Andrew van Dam; fluent in English, Afrikaans and Dutch, will make your stay comfortable. 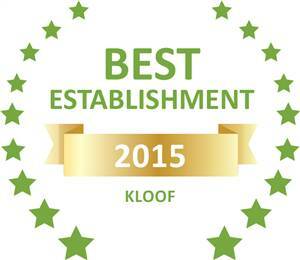 Based on reviews of establishments, Welterusten Cottage has been voted Best Establishment in Kloof for 2015. 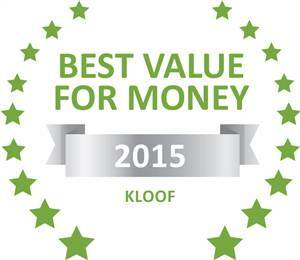 Based on reviews of establishments, Welterusten Cottage has been voted Best Value for Money in Kloof for 2015. 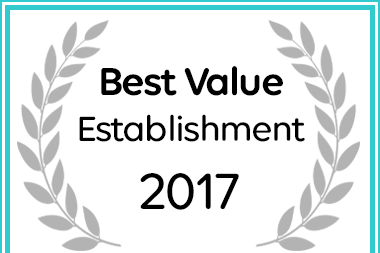 Afristay has awarded Welterusten a Best Value Accommodation Award.